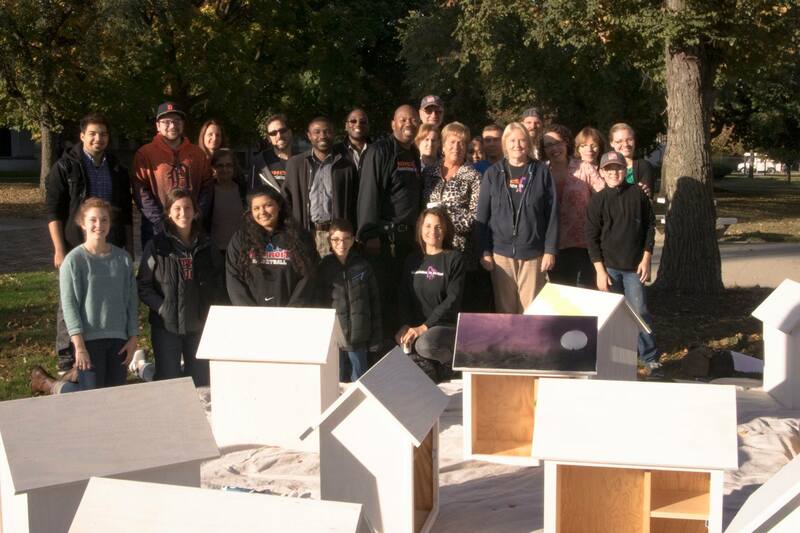 It Takes a Village to Build a Village of Little Free Libraries! 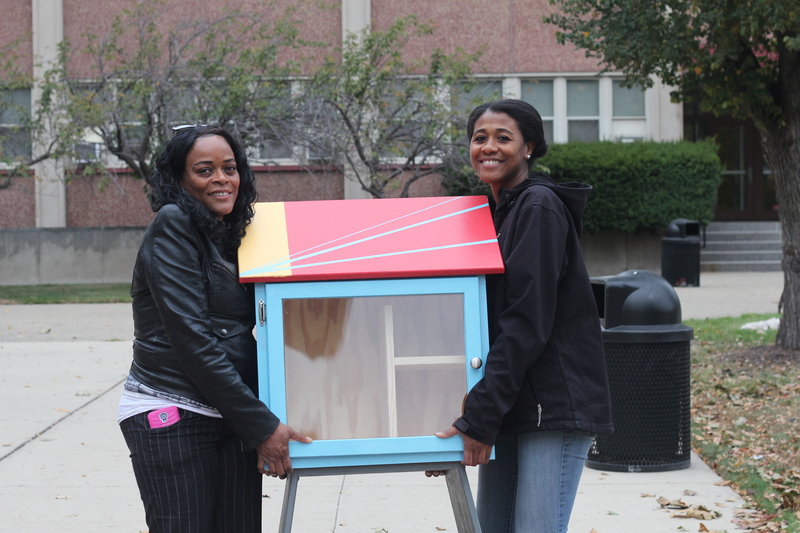 UDM Architecture students with some of the libraries Rx for Reading will be distributing throughout Detroit. What an incredible day! 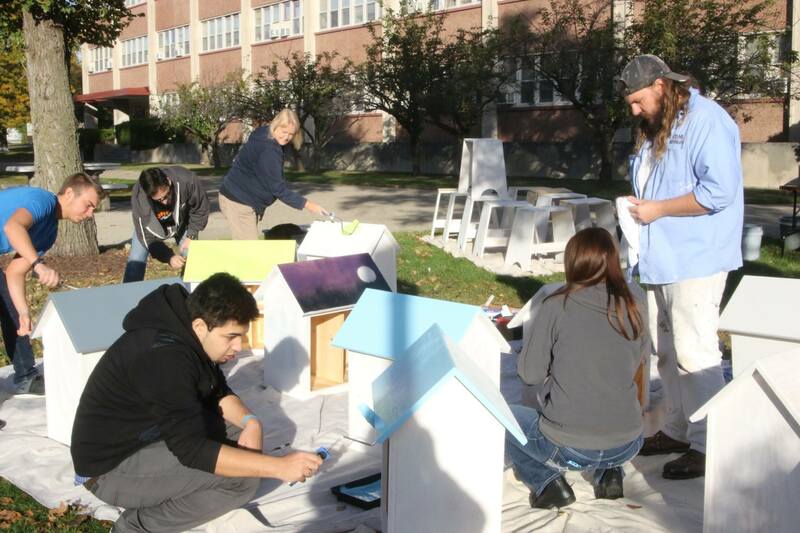 Over 30 volunteers came together to make our latest literacy initiative a reality–building and painting 12 Rx for Reading Little Free Libraries that Rx for Reading will place with community organizations all over the city, including COTS Shelter and LA Sed Youth Center. Rx for Reading will deliver each library with a collection of 250 books for kids and teens, helping community partners support reading and literacy for the families they serve. John Mio of John Mio Woodworking not only volunteered his time to build the libraries, but also worked all day to help get them painted and ready for delivery. John Mio and Mike Casey volunteered their time and expertise to build the libraries. 15 incredible volunteers from Kohl’s stores in West Bloomfield, Troy, and Westland, MI painted the libraries and sorted and packed over 1,250 children’s books to fill them. 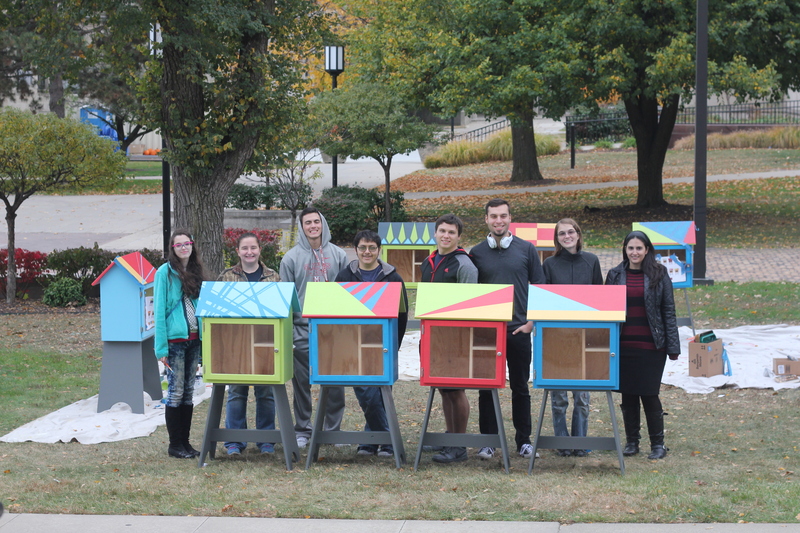 UDM School of Architecture students finished the roof designs, which were created by local artist Rebekah Modrak. 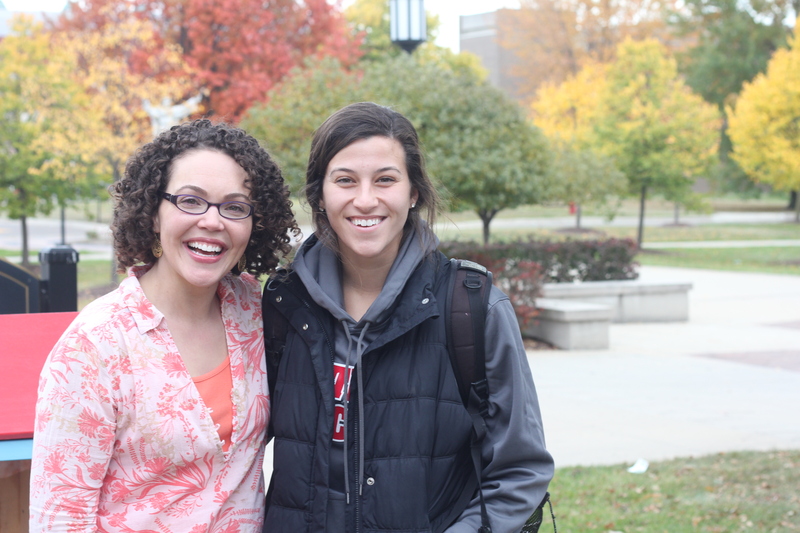 UDM students helped at every stage of the process. Since 2001, over 1,000,000 Kohl’s employees have volunteered their time to community organizations through the Kohl’s Cares Associates in Action program, and Kohl’s has supported their volunteers with over $97 million in grants to the nonprofits they have served. 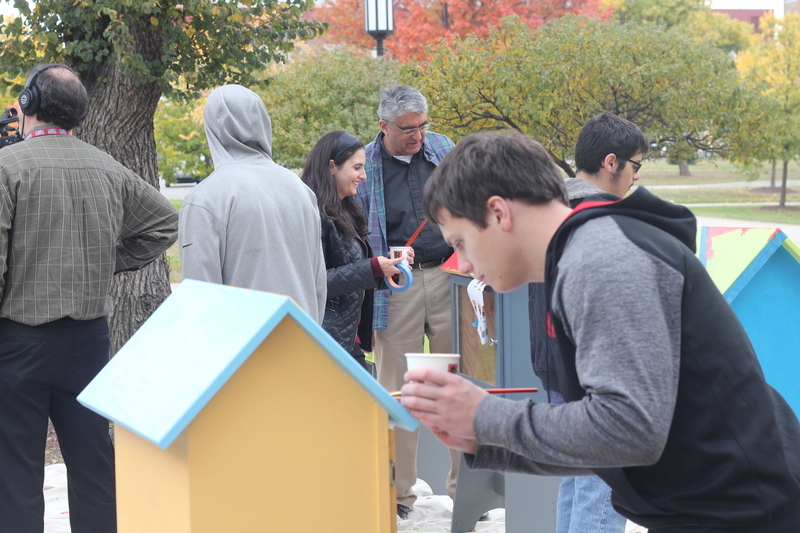 University of Detroit Mercy painter Ron Heurtebise helped direct the Kohl’s volunteer crew. Fr. Gilbert Sunghera, SJ, with students in his Architecture studio course as they work on final touches. Rx for Reading Executive Director Mary-Catherine Harrison and Student Coordinator Sara Zawacki. The end result, ready for delivery! Thank you to everyone who gave their time, talent, energy, and generosity to help build this village. 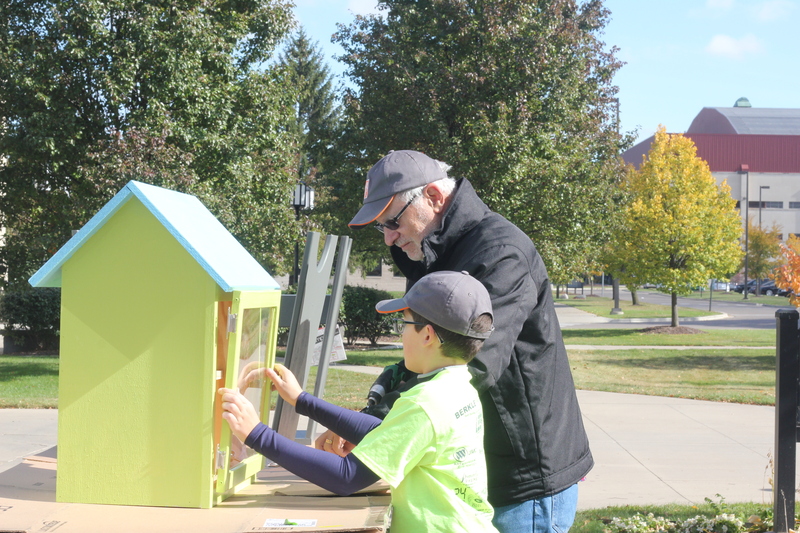 These little libraries will have an enormous impact in our community. ← A Healthy Mouth and a Healthy Mind!